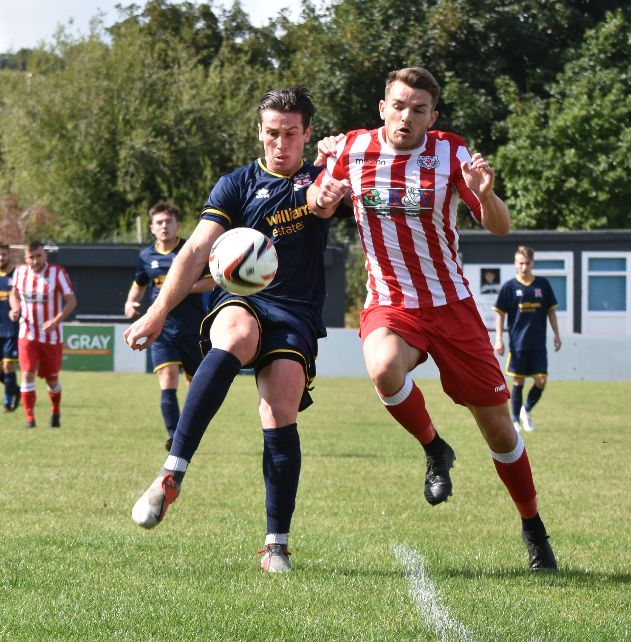 The Wellmen fell to defeat against Prestatyn Town this afternoon at Halkyn Road. Both sides went into the game looking for their first win of the season and it was last season’s relegated Welsh Premier league side which took the spoils courtesy of their winner which came midway through the second half. Both sides had chances during the game with Damien Ketley and Lee Davey both going close to break the deadlock, and also chris Bennett, Kieran Ellis and James Jones going close for the visitors. But the deadlock was broken in the 72nd minute as Dave Hayes’ header from the corner found the net to give the visitors the points. It was a disappointing result for the Wellmen who are still looking for their first win of the season, and we can get that in Tuesday night as we make the short journey to Flint Town United in the first round of the Nathaniel MG cup, kick off 7.45.